To improve the efficiency & competitiveness of this Polish vegetable processing company, investment was provided to renovate the premises, upgrade equipment, enhance storage facilities & establish a transport network for collection & distribution. Opportunities for increasing the range and quality of products were identified by this Polish Vegetable Processing Company. It was recognised this needed be to done in partnership with local producers, who would be able to benefit from enhanced efficiency and a reliable market for their production. The partnership also improved awareness of consumer needs and preferences of both the processor and producers. 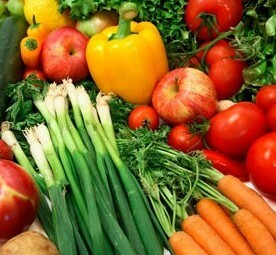 The main objectives of the project included: Improving the effectiveness of the production, processing, storage and distribution systems and services for the vegetable processing company; Expansion of production and processing of higher quality and diversified range of processed vegetable products for sale on the domestic market; Improved incomes and profitabilty for the whole supply chain. Main activities included: Development and implementation of integrated business plan; design, planning and renovating of existing plant to allow division of the premises; identification and purchase of innovative vegetable processing equipment; identificationand purchase of new transport equipment to be used for collection, internal movement and distribution; Development of partnership agreements with fresh vegetable producers. The results included: Improvement in the effectiveness of the production and storage processes; increased range of 'convenience foods' developed and marketed; increased overall quality and price competitiveness of all main products; enhanced relationships developed and sustained between producers and the processing company. Targeted investment can have a significant impact on local production and value-added activities; Carefully planning and monitoring of such investments is critical to success, as is investment in longer term partnerships in which all parties can benefit.